In September this year, 9-year old Brisbane schoolgirl Harper Nielsen refused to stand for the national anthem at Queensland’s Kenmore South State School on the basis that is fails to recognise Australia’s Indigenous history. The school demanded the year four student either stand or leave the building – but she refused to do either. Some saw Harper’s efforts as brave and honourable – a little girl acting upon her convictions and refusing to stand for unfairness. Others viewed it as disrespectful, including Senator Pauline Hanson who went so far as to say she’d give the girl a “kick up the backside”. Students last week converged on Parliament House to demand action against climate change. 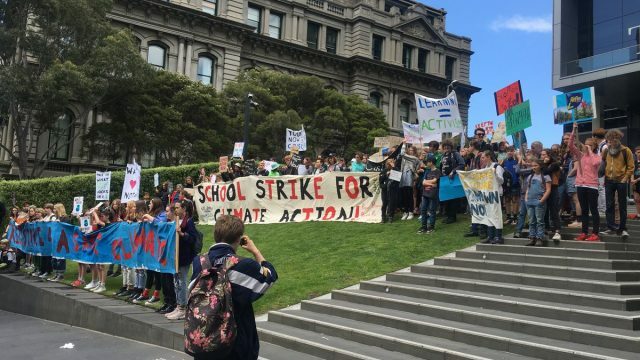 This garnered numerous detractors, not least Prime Minister Scott Morrison who stated in Parliament, “What we want is more learning in schools and less activism”.
.@AlanJones: This massive protest confirms that classrooms have become the instrument of propaganda that we knew it was. I wonder how many of the children know how much carbon dioxide humans contribute to the atmosphere?. In fact, participating in an “unlawful assembly” is an offence under section 545C of the Crimes Act 1900 (NSW) which carries a maximum penalty of six months in prison and/or a $550 fine. For any protest, rally or demonstration to be lawful, it must comply with the provisions of Part 4 (comprising sections 22 to 27) of the Summary Offences Act 1988 (NSW) which prescribes a range of requirements which must be fulfilled before an assembly can be considered “lawful”. Section 24 essentially provides that a person cannot be criminally prosecuted for unlawful assembly if they join a protest, rally or demonstration which complies with the requirements within.